You can apply for vital records for Du Page County through the Du Page County Clerk's Office. Applications can be found on the County Clerk's website and can be sent in by mail or given in person. 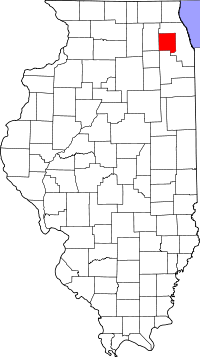 It was not mandatory in the State of Illinois for records to be filed with the County Clerk until 1916. A birth or death could have occurred and no records were officially filed with the County Clerk's office. For records after 1916 you can apply to the Illinois Department of Public Health. You can contact the IRAD Local Government Database to find vital records for Du Page County.